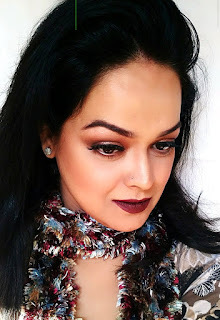 With the matte lip trend ruling the beauty and fashion industry, it's no brainer that every brand is trying to come up with with their version of matte liquid lip colours. But like individual differences exist everywhere, MATTE is seen differently by every brand and range. From super drying, parchy matte lip products to the comfortable powdery mattes, we've seen them all. 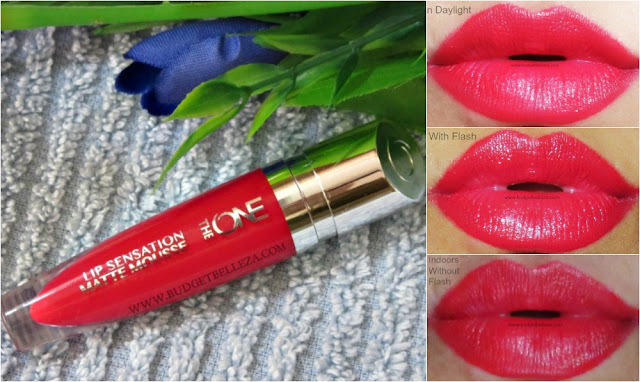 Oriflame Lip Sensation Matte Mousse belongs to the third category..Read On!! The ingredient list is not on the tube. Even though I like how small the tube opening is which allows just the right amount of product to be extracted, I found the wand tip to be too straight and absolutely non-flexible (now I know the term 'rigid' guys but 'non-flexible' has a pertinent feel to it :P) thus not allowing a precise application. 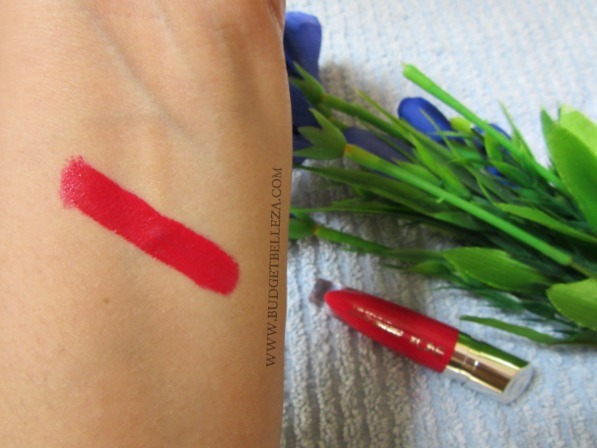 The shade Red Velvet is a beautiful,bright warm red with pink undertones. The shade was the very reason I got it in the first place. 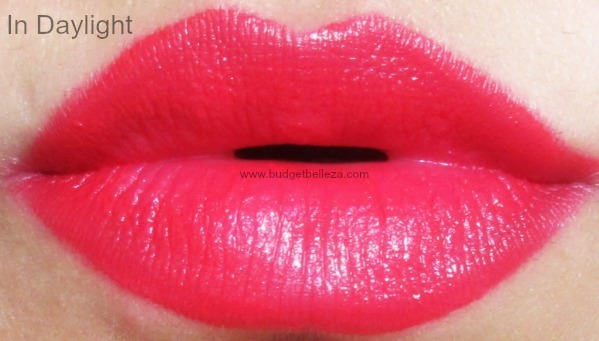 It absolutely brightens up the whole look and it will surely look good on a broad spectrum of skin tones. It photographs really really well. 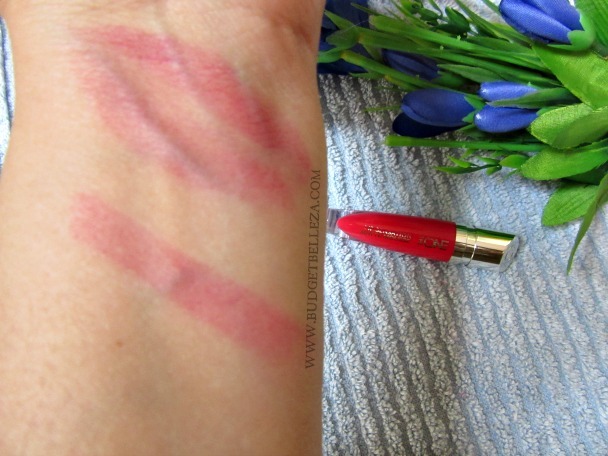 It is awesomely pigmented and the best thing that I love about this lip colour that it leaves a very pretty reddish pink stain when it wears off. I really dislike it when a product leaves bare lips post its wear time. 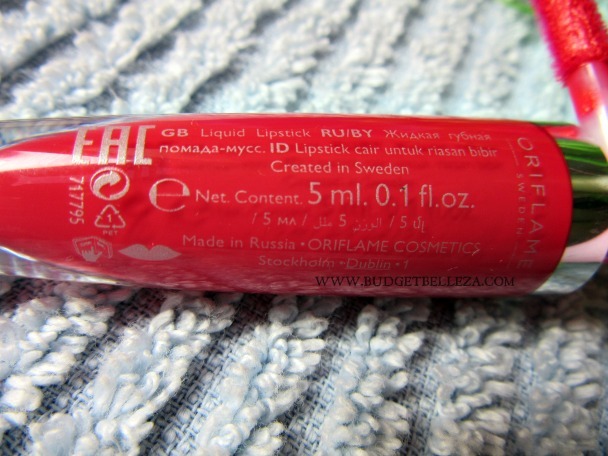 The texture of the Lip Mousse is what I was indicating in the introduction to this post. 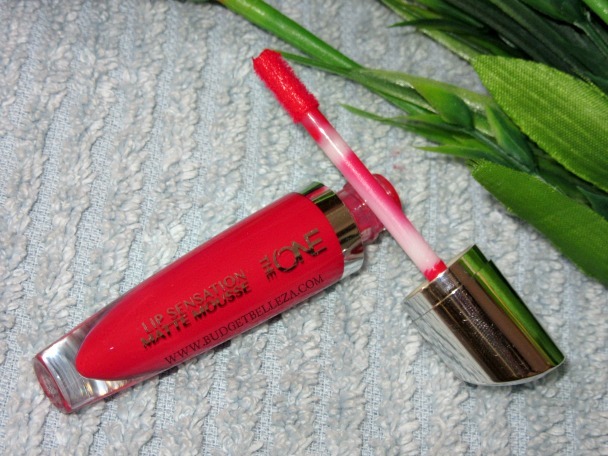 If you are looking for a dry/powdery matte,this is probably not your best bet. 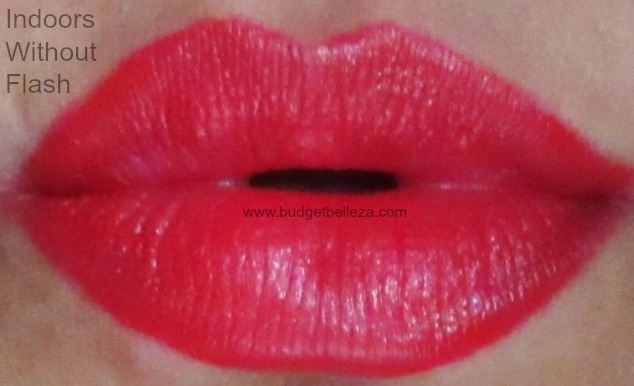 the Lip mousse that has a creamy,thick, mousse like consistency dries to a satin/velvet finish and not super matte. 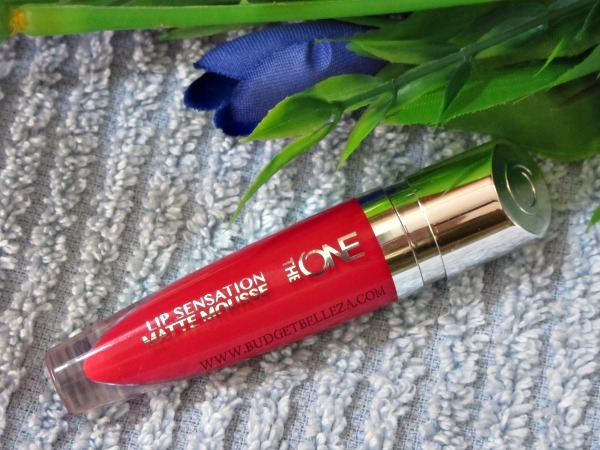 The formula feels very comfortable on the lips. 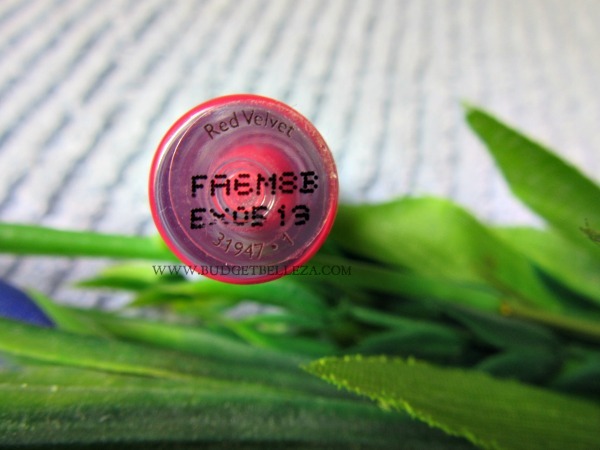 Being creamy ,its very hydrating and leaves the lips moist even when it wears off. If you're a fan of dry mattes,we've got you covered. Just pat your lips with a tissue and you'll get the non-transferring matte lips without compromising on the intensity of the pigment. It bleeds and transfers..which is a con. But the lip liner hidden in your stash would probably take care of the bleeding part. It has a very sweet synthetic smell which isn't too pleasant. Red Velvet has a wear time of 4-5 hours depending on how much of what you nibble. If you want to see how it looks on me then see me wearing HERE. Hi Aditi really good read! 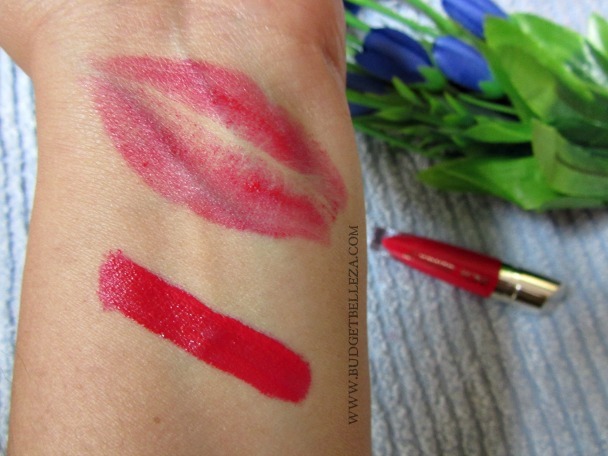 Have tried any other lip stains? Do check mi out!